There are differences in the ways mobile and telecommunication business works in different countries of the world. In countries like USA and Europe, Smartphone companies partner with the telecom service providers to come up with a reduced price for consumers to avail phone along with services on contract basis. In India, however, the scenario is somewhat different. Cell phone companies and the service provider do businesses separately and people are comfortable with it. Although, a small number of joint initiatives have taken place, none of them have proven their success of scale. The building block of RIM was a little unconventional. They had two CEOs. One for the engineering division and the other for the integration of the corporate functions. Mr. Lazaridis was in charge of engineering division and Mr. Balsillie looked after sales and industry interaction. They worked in a close liaison and the model was working well. Blackberry had a very niche offering. A Smartphone that had keyboard and customized apps for the corporate segment of the market. When iPhone was first introduced to the world in 2007, Blackberry pointed out its shortcomings like battery life, robustness etc. in public. Before iPhone, the smart phones used to run on single processor and OS used to take less memory space. Blackberry was running on single processor and OS took 32mb memory space. iPhone was a touch device that ran on dual processor and OS memory space was 700mb. For its initial product selling without partnering with any major service provider, very few people could actually afford it. But they made a pact with AT&T and came up with its combined offering starting with $199. Mr. Lazaridis, the great mind behind Blackberry realized the threat now. Given the sudden surge of the touch phone demand and Apple’s deal with AT&T, Verizone turned to RIM to come up with a touch phone that will not have a physical keyboard. Internally they wanted to call it “an iPhone killer”. So, RIM built Blackberry Storm. But the demand driven product manufacturing had to be quick. Storm had a few bugs and it was slow too. RIM stopped producing Storm. So, Verizone then turned to Google and its newfound operating system Android in 2009. Verizone started its massive marketing campaign as Motorola introduced its droid phone and pinpointed the pitfalls of iPhone with “iDon’t” campaign. As it turned out, Motorola and other Android phones gained success, but not at the cost of loss of market share of iPhone. In contrast, Droid phones started eating market share from Blackberry, Nokia and other Palm and Windows operated phones. As a result, by the end of 2011, Android’s market share was 47.3% and that of RIM dropped to 16% in US market. The main conflict boiled down to the one between software apps and reliable hardware manufacturing. RIM’s engineering principle was built on the very fact that it would provide a hardware that will be low on power usage giving it more battery life and the compact form will make it robust. But this was the need of corporate executives. With the advancement in the smart phone world, more and more people started turning to a device that will be more interactive which led to the high demand of touch phones. Other requirements were smart camera and apps. So, Blackberry ventured into that world and came up with Blackberry 10 OS. But the developers’ network for Apple and Android were huge and well-established. So, they failed to compete with Google Play or iStore. As a reult, they failed to gain market share in normal consumer market. And the corporate execs did not want camera or fascinating apps. So they also complained. So, RIM lost market share there too. Instant messaging is the new “big thing” in the mobile era. We have witnessed Facebook acquiring Whatsapp for 19 billion USD in this line. Well, Blackberry is the pioneer in this area. They first introduced BBM as a wireless instant messaging service. 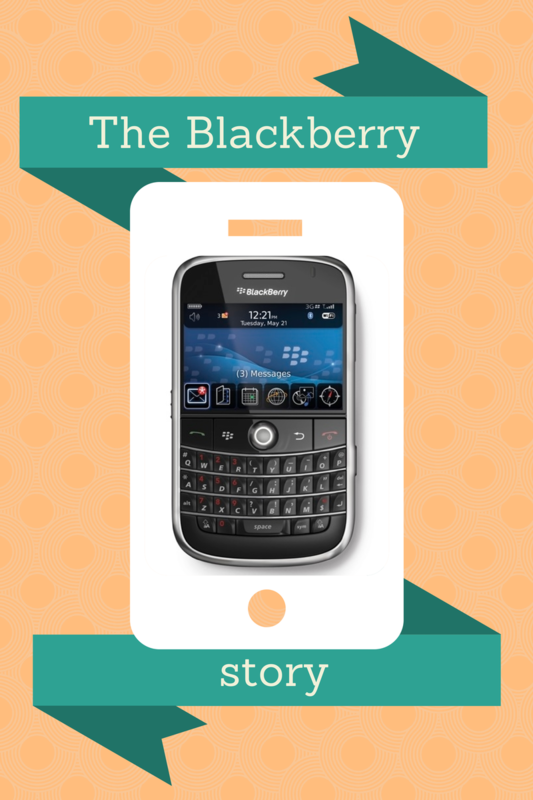 It quickly became popular among the Blackberry users. The advantage of BBM is that BBM does not use cell phone number for the service. Rather, it generates an unique BBM pin for a phone. Since this pin is a randomly generated number, the privacy is higher. To add to this, the developers brilliantly incorporated the display of time of delivery and time of reading the message. A number of new players evolved in the same area fighting for market share in iOS and Android phones. So, Blackberry made a strategic move. It also introduced BBM app to non-Blackberry phones for free. The BBM user base increased from 60 million to 80 million. But since then, the number of BBM users has not increased much and remained stagnant. Those, who registered for BBM in the “hype of getting a BBM Pin” given it was a “corporate status symbol” for long, do not find it so effective. So they have turned to other instant messaging apps. As a result, the number of active users have decreased significantly. At organization level, the collaboration of engineering and functional team was a differentiating factor and once a thing to be boasted about. But lack of mutual accountability and communication have ripped that off. So, the situation right now is such that it is painful to see the greatest innovator of “once-upon-a-time” is bleeding right now and desperately looking for a way to get back to the mainstream.